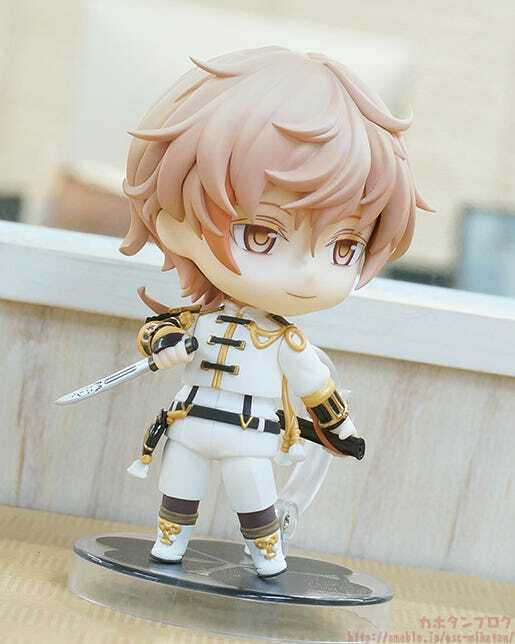 From the popular browser and smartphone game ‘Touken Ranbu -ONLINE-‘ comes a Nendoroid of Monoyoshi Sadamune – the sword said to bring good luck to those who wield it! 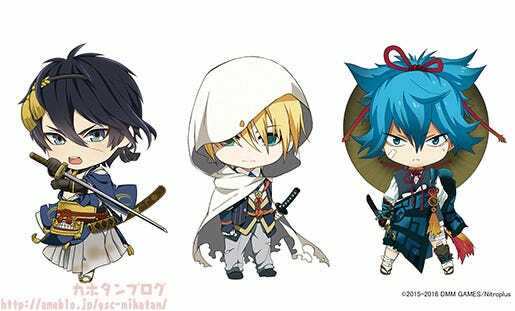 The wakizashi Monoyoshi Sadamune is joining the Nendoroid series! 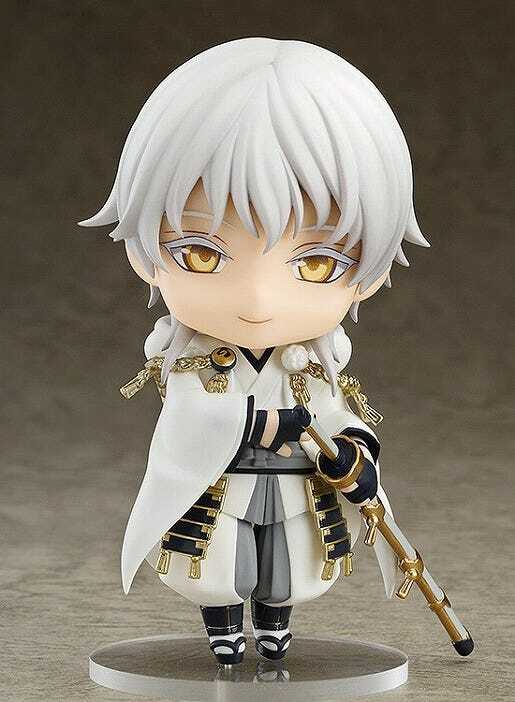 This is actually the first Nendoroid of a wakizashi in the Touken Ranbu -ONLINE- series! He has a lovely white outfit with contrasting black equipment with gold highlights that give off a lovely majestic appearance! 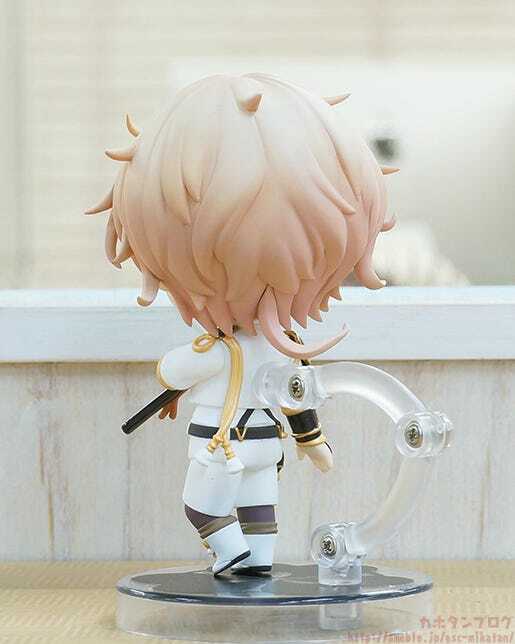 The long strand that twirls out from the nape of his neck has been sculpted to carefully curl to the side so that it doesn’t get in the way of the stand… and so that you can see it from the front! The right arm on Monoyoshi’s characteristic outfit really stands out the its gold and black design! The black areas are painted with a glossy paint to create a lacquered appearance, and Monoyoshi’s crest and the grid pattern have a very noble looking gold coloring to them! The areas on his wrist and elbows are the fabric parts of the outfit, which are represented with a peal paintwork without a matte finish! 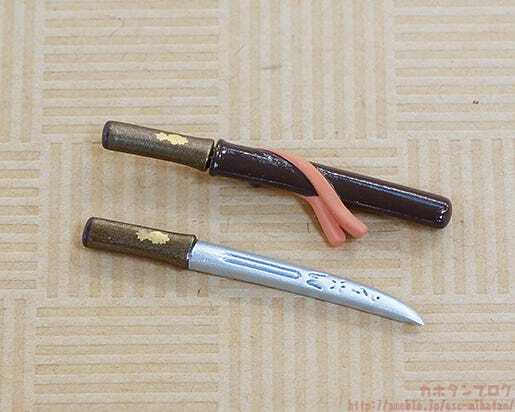 ▲ Drawn and Sheathed Swords Included! ▲ Battle Pose with Sword Drawn! This pose is based on his combat pose from the game! 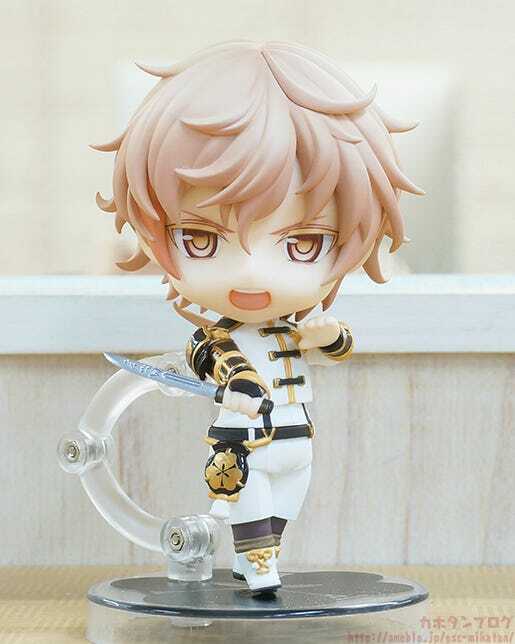 You can pose him with his sword held in his right hand and the scabbard in his left! 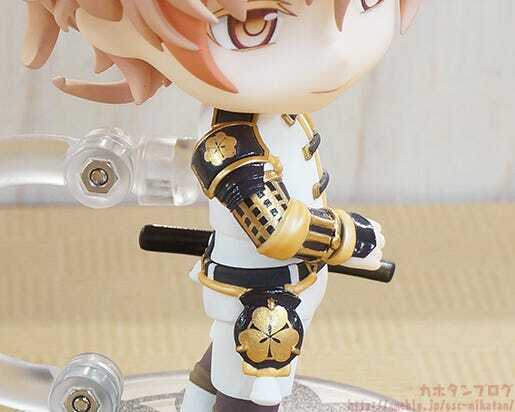 The hip joint is the same kind included in Nendoroid Tsurumaru Kuninaga that allows impressive articulation without compromising the appearance of his outfit! With the right combination of parts you create a pose similar to his awakened pose from the game! The bent leg part is a completely separate part that is swapped out with his standard foot part! for a more dynamic appearance! 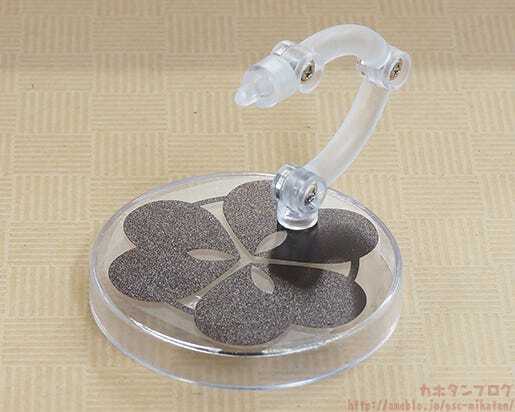 ▲ Round Base with Crest! 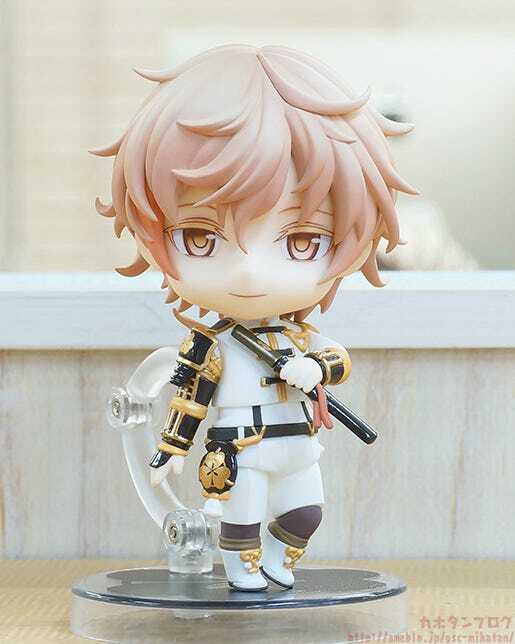 As with all the previous Nendoroids from the series, Monoyoshi comes with a special round base that includes a print of his sword crest. Last but not least, time for some announcements! 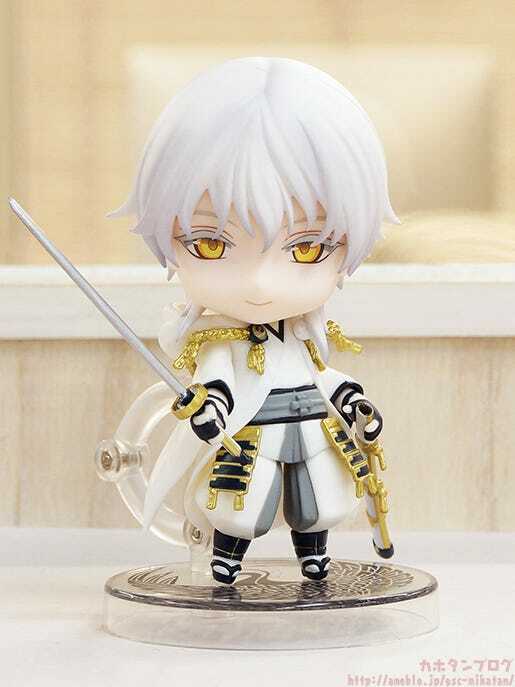 ▼ #2: New Touken Ranbu Figures! ◆ Nendoroid Co-de Mikazuki Munechika: Awakened Ver. These three figures will be joining the line-up in the future! 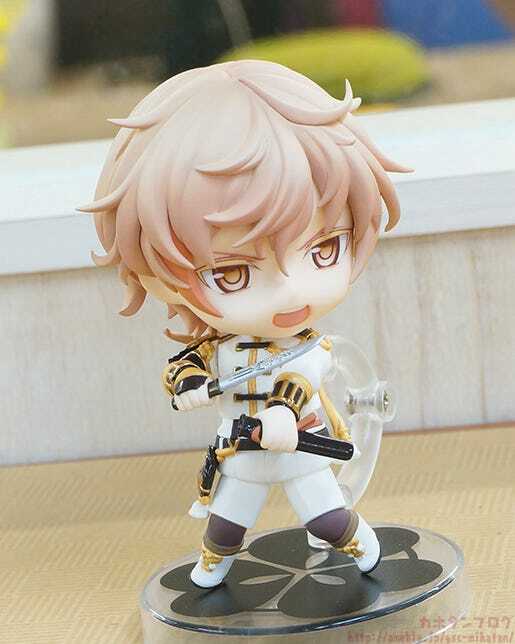 ▼ #3: ORANGE ROUGE Touken Ranbu -ONLINE- Stage at WonFes! 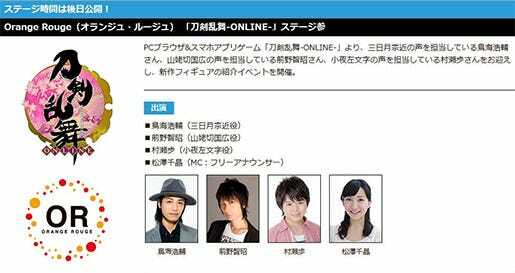 To celebrate the announcement of the three products above, we will be having a stage featuring their voice actors at WonFes! Look forward to it! As usual, we will be having a special live broadcast just before preorders open! The broadcast will also be the first revealing of his third expression as well as the GOODSMILE ONLINE SHOP bonus! I hope you’ll join me as we take a nice close look at the figure! !